Malayan tigers are on a thin line between here and gone, but there is hope. If we protect their habitat and keep them out of the hands of poachers, tiger populations can rebound. On a recent trip, Woodland Park Zoo animal care, field conservation and communications staff joined a MYCAT volunteer patrol deep in the tiger’s forest realm. They placed a 360° camera in one of the planet’s most ancient rain forests to show you what’s at stake. Use the controls to peer around this slice of tiger habitat located in a critical wildlife corridor along the edge of Taman Negara, Malaysia’s premier national park. Video: 360° View of Malaysian Tiger Forest. NOTE: 360°-view enabled browser required to explore full view of the video. The fact that you can barely see much in the distance is a good thing—the density of this forest supports incredible diversity of life. When we fight to protect tiger forests, we’re saving the home of so many more, from lichens to trees, snails to elephants. 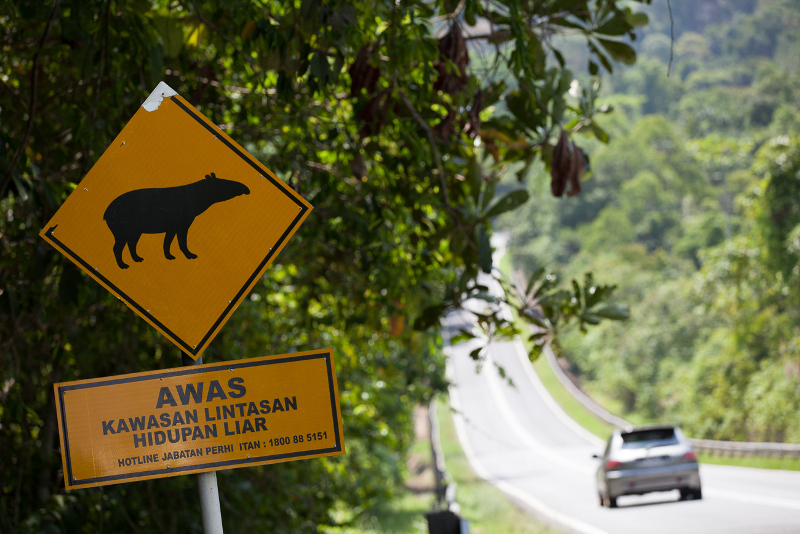 Beware wildlife crossing as you head into Malaysia’s forests. Photo: Jeremy Dwyer-Lindgren/Woodland Park Zoo. 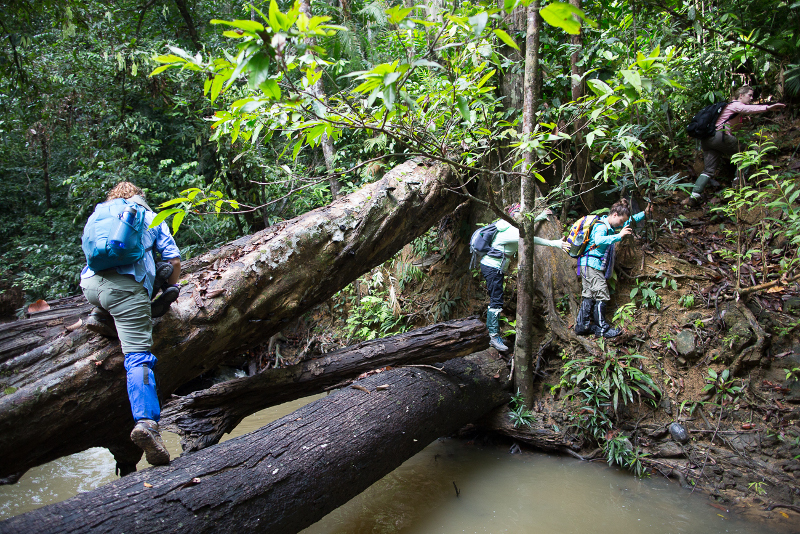 Looking for signs of tigers—and their poachers—a volunteer MYCAT patrol group enters the forest. Photo: Jeremy Dwyer-Lindgren/Woodland Park Zoo. The volunteer patrol group hiked deep into the forest for days—and nights—on a mission to protect tigers. Photo: Jeremy Dwyer-Lindgren/Woodland Park Zoo. Later, they approached this illegal logging site. In stark contrast, we see 360° of nothing—no natural diversity and no sustainable future for wildlife or people. Video: 360° View of Illegal Logging in Malaysian Tiger Forest. 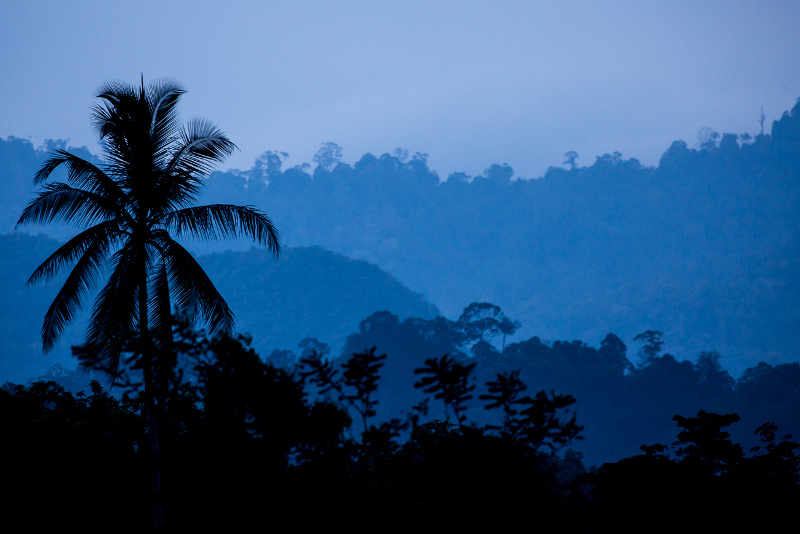 Deforestation is one of the major threats facing tigers today, but it’s not too late. You can make wise consumer choices around palm oil and Forest Stewardship Council-certified wood to support sustainable resource use. The work continues in the field. With your support, Woodland Park Zoo and Panthera work together with on-the-ground partners in Malaysia to conserve tigers and their forests. Want to get involved? Join our Tiger Team, a coalition of local advocates like you fighting for global impact. Ding, the dad of the group. Photo: Dennis Dow/Woodland Park Zoo. Vegetarians sporting mutton chops? Welcome to Seattle, boys—you’ll fit right in! 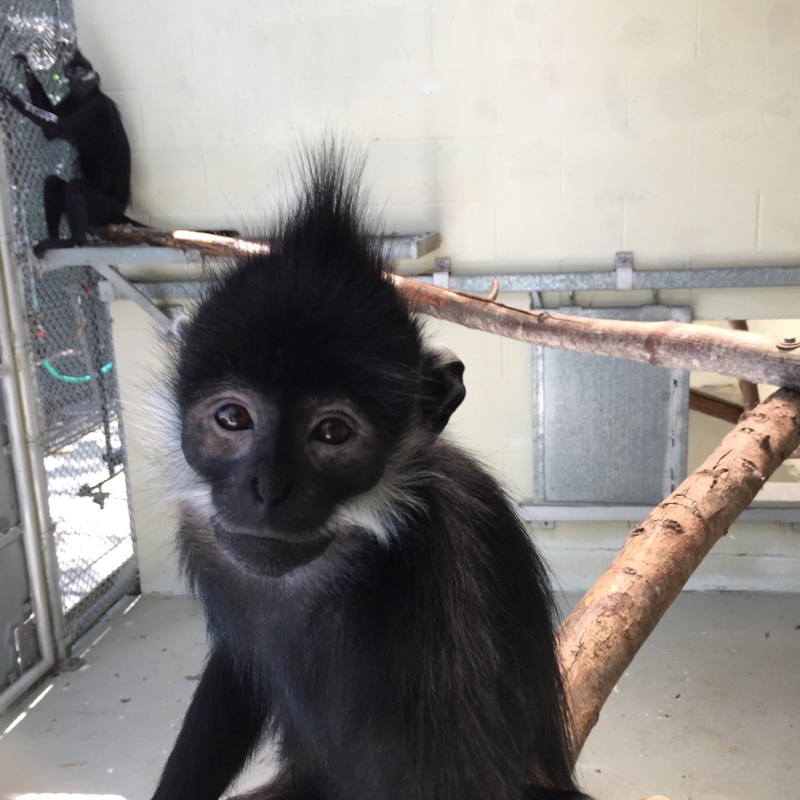 A family of François' langurs has just moved into the zoo’s Trail of Vines and their distinguished looks and playful antics are turning heads. 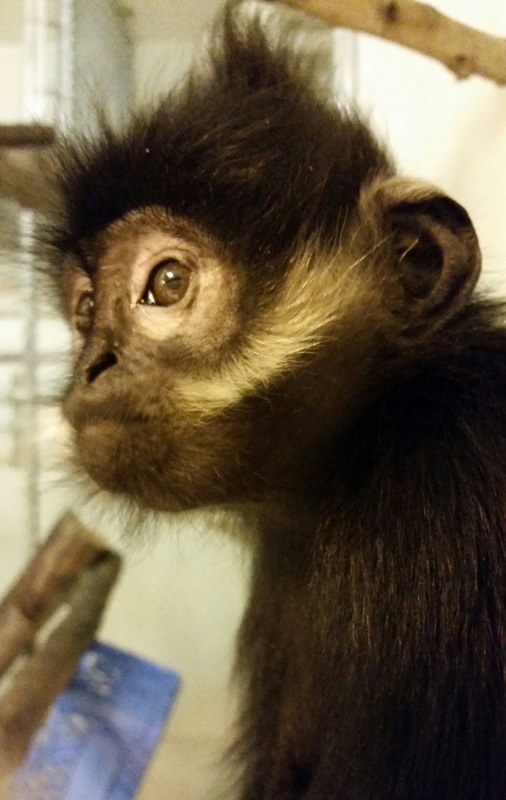 The all-male troop is led by Ding (age 17), the father of 5 rambunctious boys. As the elder, Ding acts as leader, peacekeeper and resolution maker. His larger head, balding spots and ruffled tail reflect the experience and wisdom he has collected over the years. Bouncy, seen here in a behind the scenes area during standard quarantine. Photo: Carolyn Sellar/Woodland Park Zoo. The rest of the boys each has their own personality, some more adventurous and confident, others more naturally reserved and cautious. But together they are a rowdy bunch and the first day in their exhibit put that into clear view for the keepers. After arriving and spending their initial days in a behind-the-scenes area for standard quarantine, the boys took their first steps into their outdoor home last week. They explored everything without hesitation—climbing, jumping, and inspecting everything they could get their hands on. The boys are truly bursting with energy and curiosity. It’s been an interesting transformation for them. At their previous home, the troop lived in a naturalistic indoor exhibit. Upon arriving here, we helped them transition to their new environment by first creating a dynamic, interactive indoor space for them behind the scenes filled with objects to play with, ledges to perch on, vines to jump across, barrels to tumble in, food to forage for, and mirrors to gaze into (those are some very handsome faces, after all!). 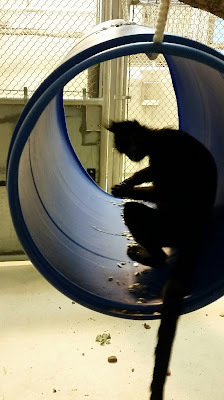 As they settled in, they spent some time outdoors in a behind-the-scenes area where they could adjust to the sights, sounds and smells of their new home. Ding in a behind the scenes area during standard quarantine. Photo: Carolyn Sellar/Woodland Park Zoo. An up close photo of Tang in a behind the scenes area. 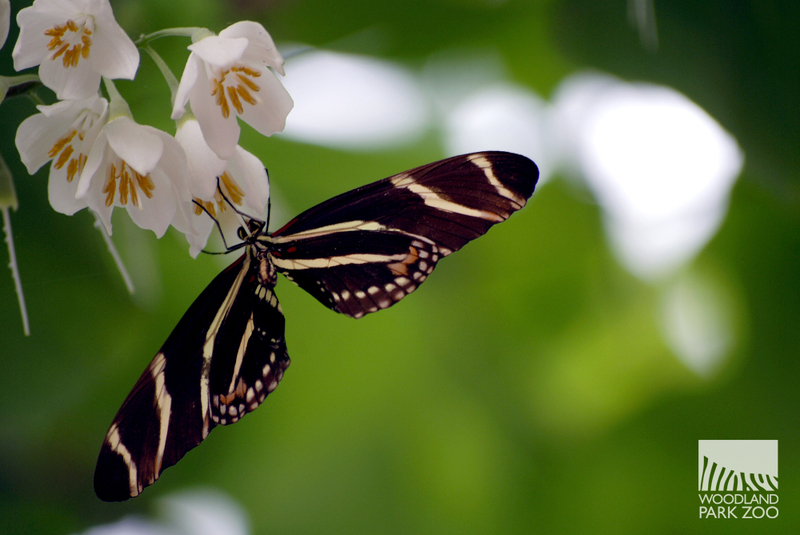 Photo: Andy Antilla/Woodland Park Zoo. It was clear right away that the boys were ready for the next adventure, so we put the finishing touches on transforming their large, outdoor home. The space was formerly occupied by the lion-tailed macaque group. Our two elderly macaques moved to a home behind the scenes at the zoo that is easier for their aging bodies to navigate, and where they can get up-close care from their keepers. The macaque exhibit was then made langur-friendly with the addition of many large and tall perching structures. Forest natives from parts of China, Vietnam and Laos, François' langurs are arboreal and want to be high up in the trees. When you come to visit, be sure to look up. In those treetops you might spot the langurs munching on greens. Leaves take long to digest but special adaptations, including large salivary glands and a complex, sacculated (compartmentalized) stomach, help break down the fibers to keep these folivores full of energy. Their backsides are specialized too. Look for their thickened rump pads known as ischial callosities to see how nature solved the problem of staying comfortable (and staying put!) while sitting on thin treetop branches for much of the day. 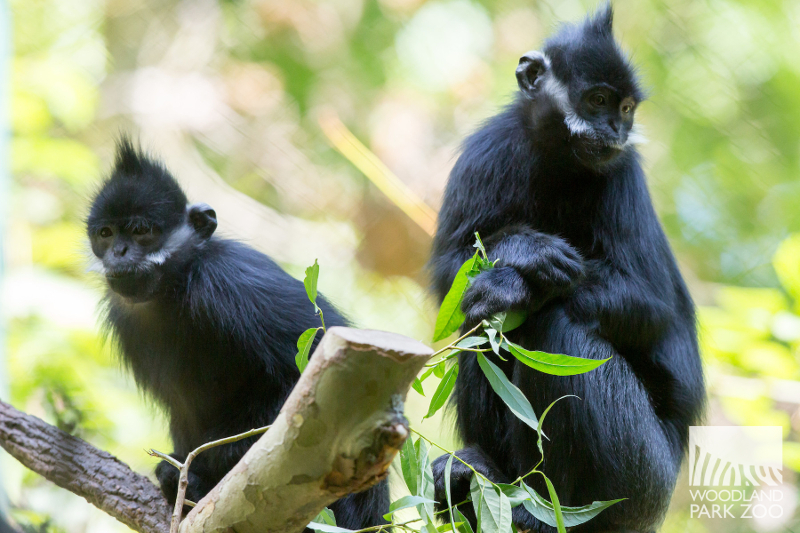 That treetop life means langurs are under threat of extinction as forests disappear. These endangered monkeys depend on thriving forests, and as habitat destruction leads to fragmented forest pockets, populations become isolated and vulnerable. Hunting for meat and some traditional medicines also threatens their long-term survival. 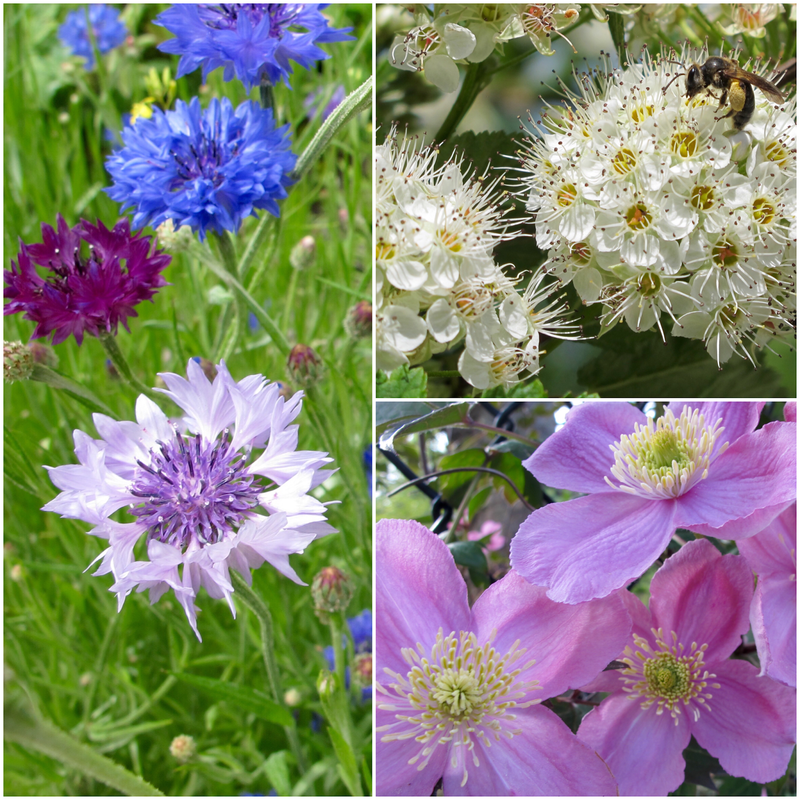 It is estimated that the population has declined by 50% over the last 36 years according to the IUCN Red List. 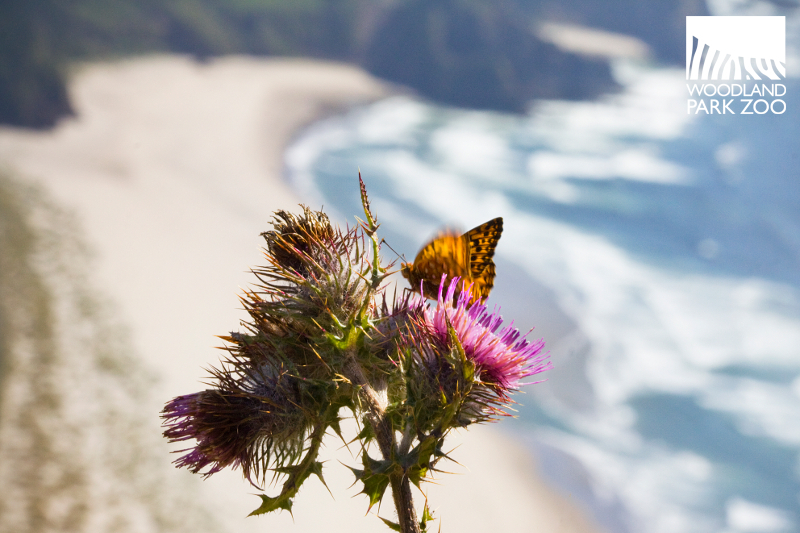 Protected areas in their native range have been created to address that trend. 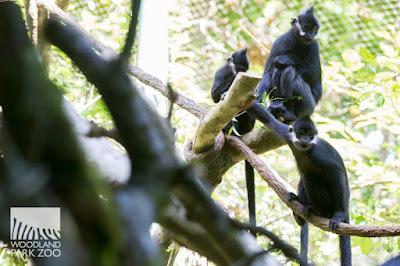 Their dependence on the forest can be seen in the way the langurs here make use of every layer of their wooded home. 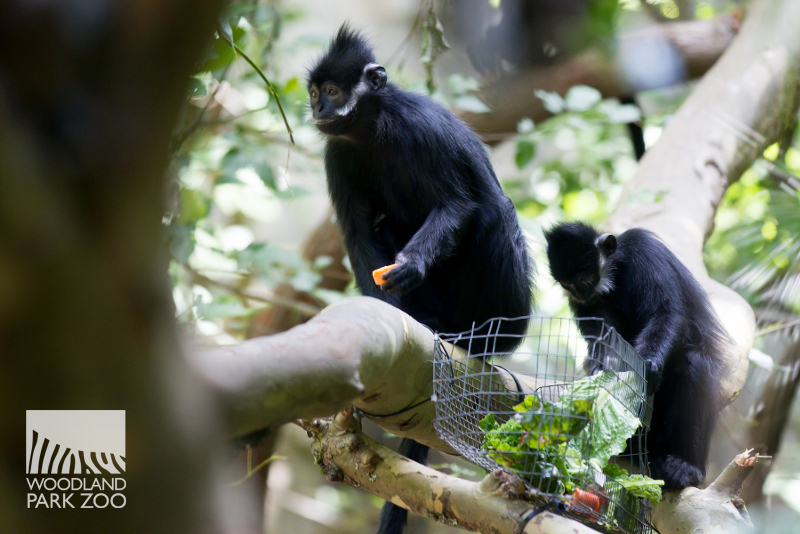 Langurs love to forage and will spend much of their time exploring their home for treats—some naturally occurring and some scattered by keepers, including fruits, seeds and other plantings. You’ll see their natural social dynamics play out while foraging, as dad and then the older boys get first dibs. Well, except Bouncy. He still gets a free pass to the front of the line. For now. We have no doubt many of you can see some of your family in this family. With Father’s Day right around the corner, there’s no better time to greet the boys in their new home. INSIDER'S TIP: Coming up on Sun., June 19, 2016, enjoy 50% off for dad with the purchase of a child's admission when you mention this offer at any entry gate (not available online). Father's Day is almost here, a good time to take a closer look at the many forms of fatherhood in the animal kingdom. While its natural for fathers of some species to be entirely absent, other animal fathers fill all sorts of roles: protector, companion, provider, disciplinarian, partner and even playmate. Let's explore the world of animal dads. 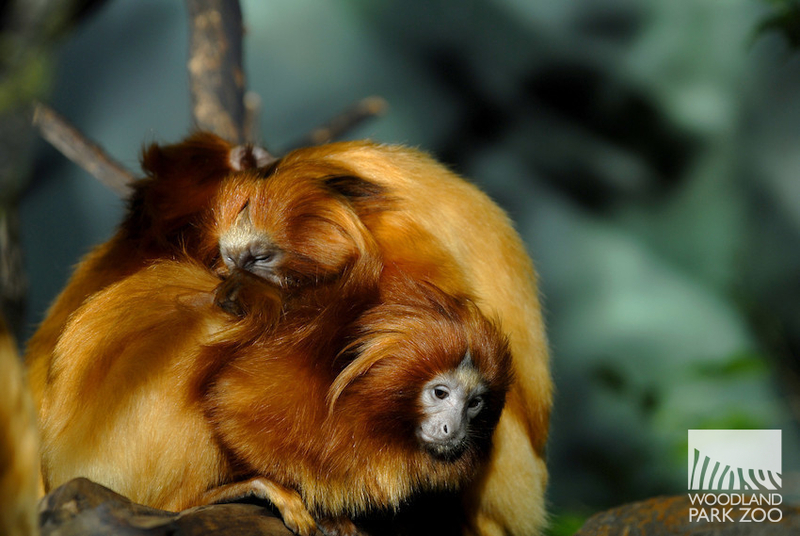 Golden lion tamarins often have twins so dad’s help is very important in raising the baby monkeys. Photo: Ryan Hawk/Woodland Park Zoo. A male golden lion tamarin takes his role as father very seriously. The typical tamarin dad grooms, feeds, plays with and gives his infants piggyback rides. Hey dads, does this sound familiar? With a big, long beak dad is able to slip food to mom living within the tree. Photo: Dennis Dow/Woodland Park Zoo. Hornbills will find a cavity or hole in a tree to make their home. 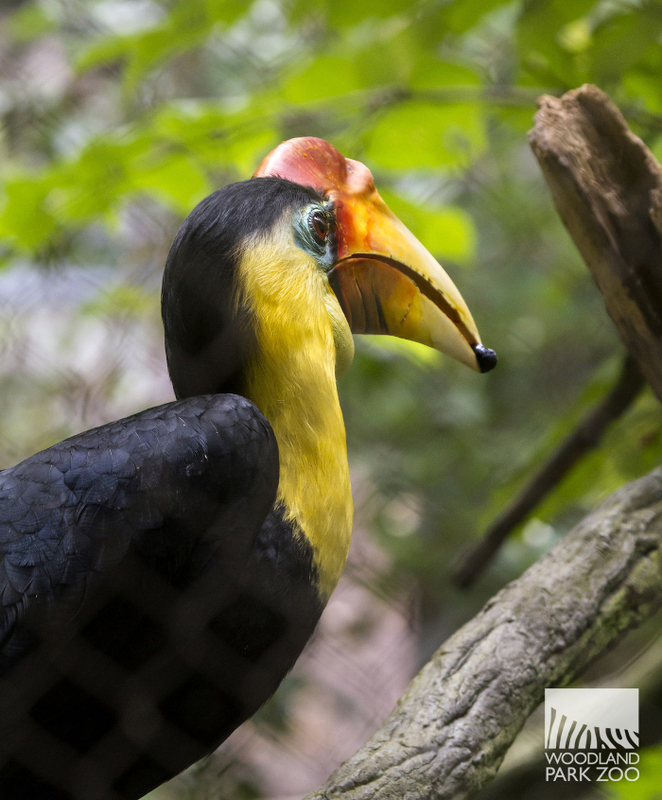 The mother hornbill stays inside the tree, often molting her feathers to provide a soft nest. The large hole is closed up with mud leaving only enough space to fit her beak. The father hornbill then brings food to her and the chicks once they have hatched. 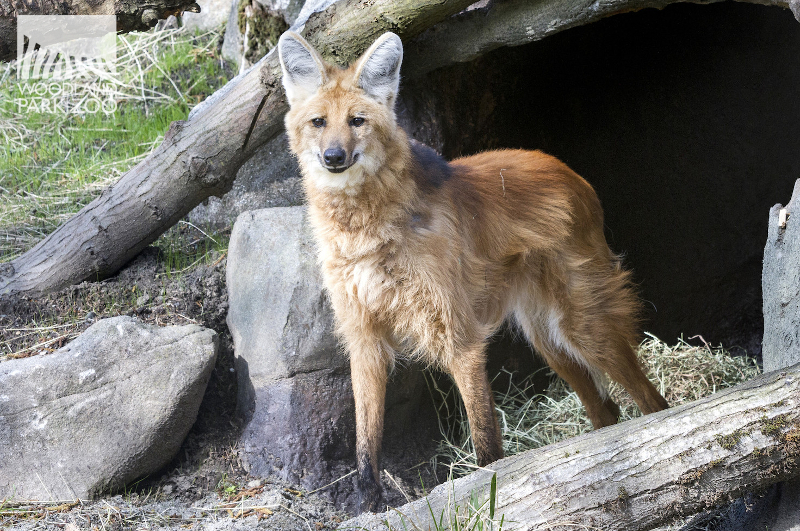 Maned wolf dads will be on high alert outside the den. Photo: Dennis Dow/Woodland Park Zoo. Foxes and wolves work as a parenting team. Mom stays in the den with the pups while dad is hunting down all the meals for the growing family. Wolves will continue to grow their pack with their offspring while foxes tend to leave their parents after a couple of years together. Woodland Park Zoo has many proud dads! 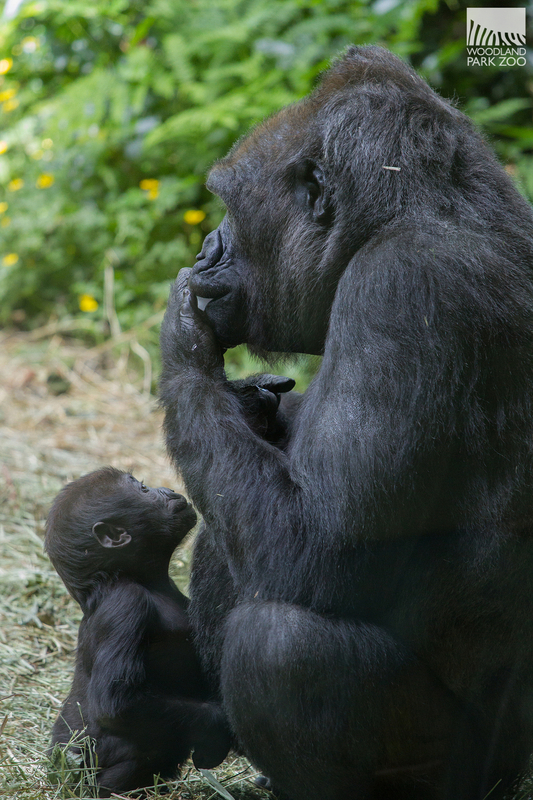 Gorilla dads have been seen playing with and teaching skills to their offspring. Photo: Ryan Hawk/Woodland Park Zoo. 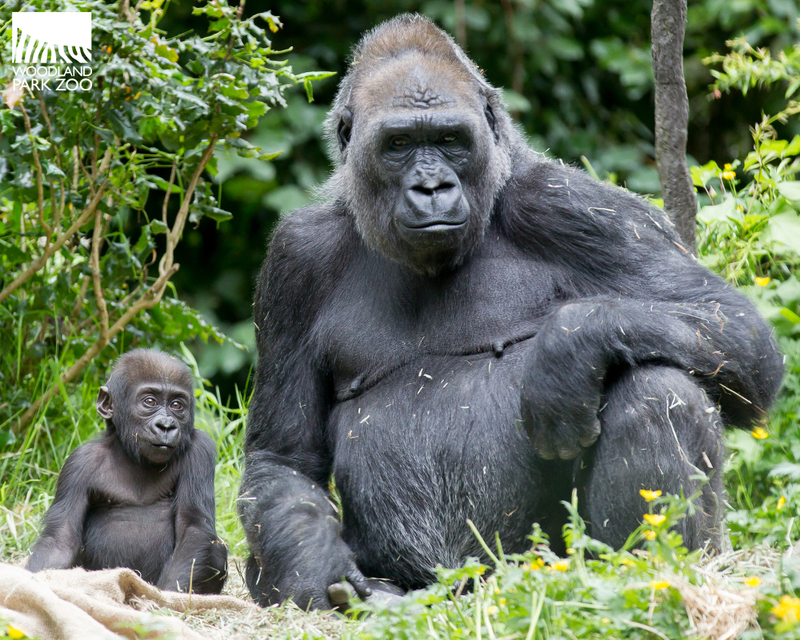 Gorilla dads are responsible for the protection and are the leaders of their troop. Silverbacks make sure everyone is doing what they are supposed to and ensure they all stay safe. 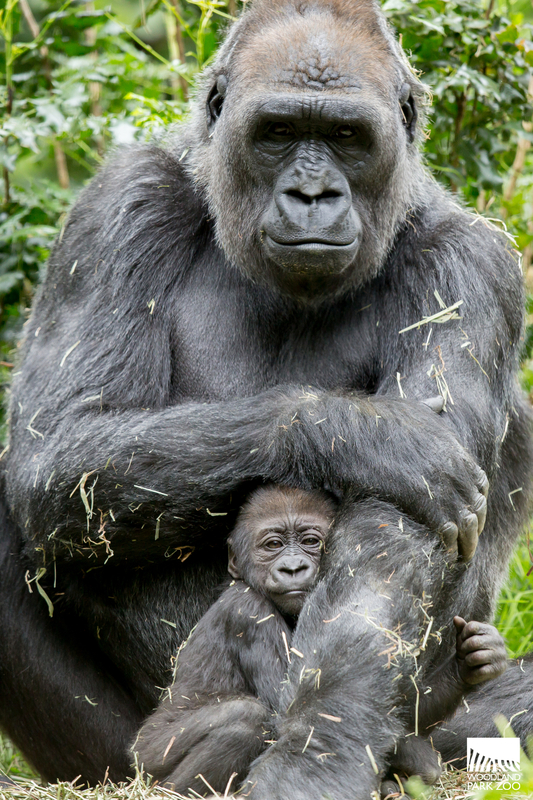 Baby gorilla Yola, born November 20 2015, is the daughter of silverback Vip and his seventh offspring. 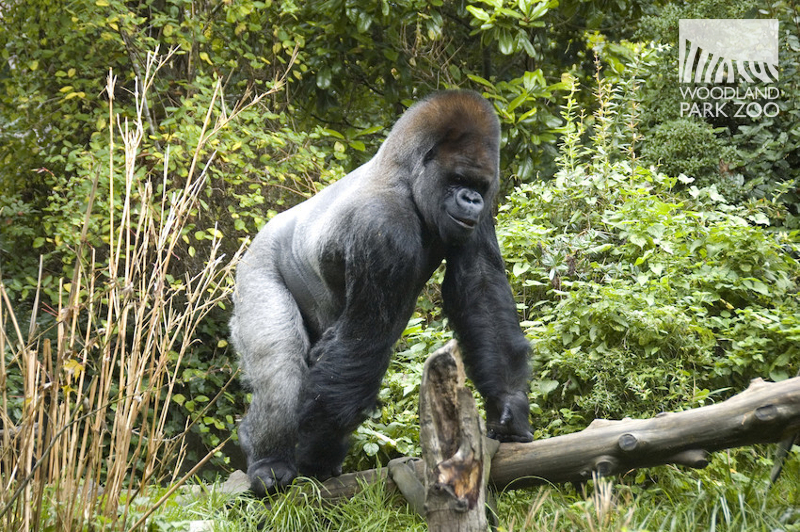 Though Vip is her biological father, Yola lives in a group with an unrelated silverback male, Leo, who provides leadership and protection to keep the family cohesive and peaceful. Junior the dad got to choose the name of his son although he never participated in their rearing. Photo: Dennis Dow/Woodland Park Zoo. Junior, the jaguar, had three cubs born at WPZ, currently residing at other zoos; the male cub has since grown up and become a father himself. 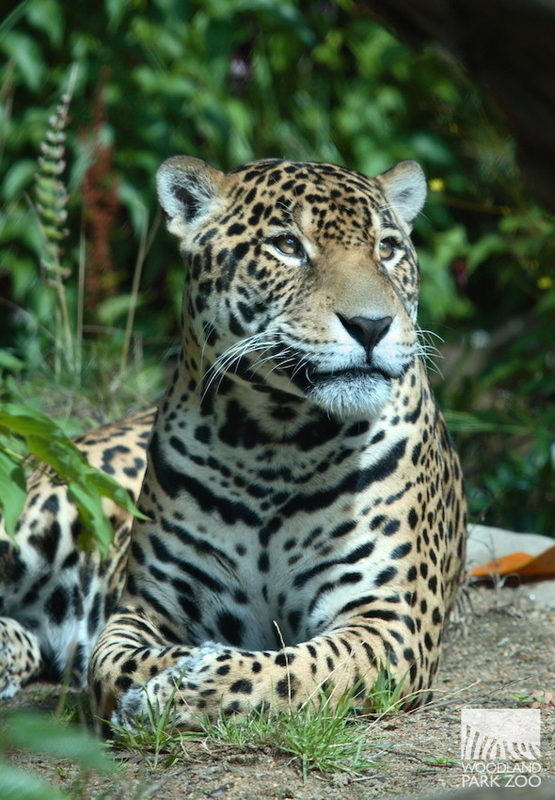 Jaguars are not involved with the raising of their offspring. In most cases, dad is gone before the cubs are even born. Dad Xerxes gives a big grooming lick to one of his cubs. Photo: Dennis Dow/Woodland Park Zoo. Most wild cat fathers are not involved in child rearing, but lions are the exception. WPZ’s African lion Xerxes got to meet all his cubs, Tandie, Mandla and Gandia. He was a great father when the cubs were young and naturally as the boys matured they needed to move out from under his shadow. They have since relocated to Oakland Zoo where they live as a bachelor group together. 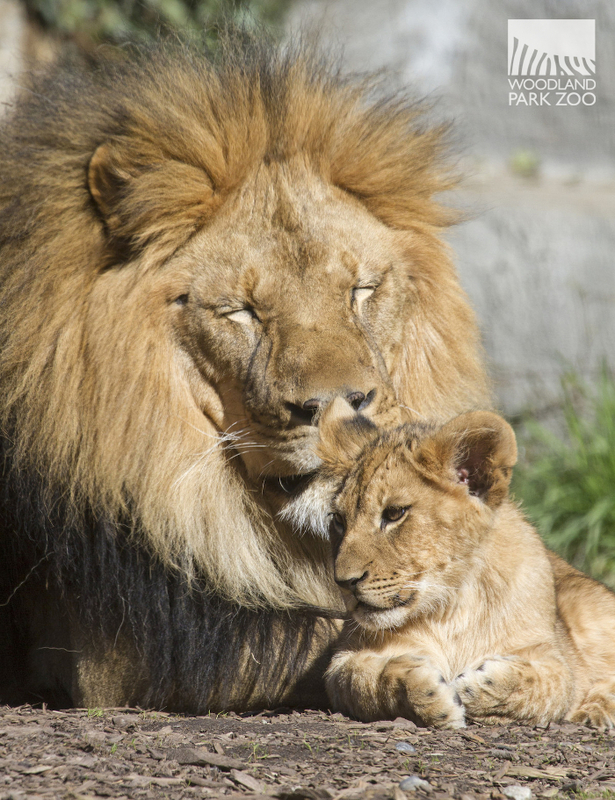 Celebrate dad and make family memories with a Father's Day visit to the zoo! Photo: Jeremy Dwyer-Lindgren/Woodland Park Zoo. 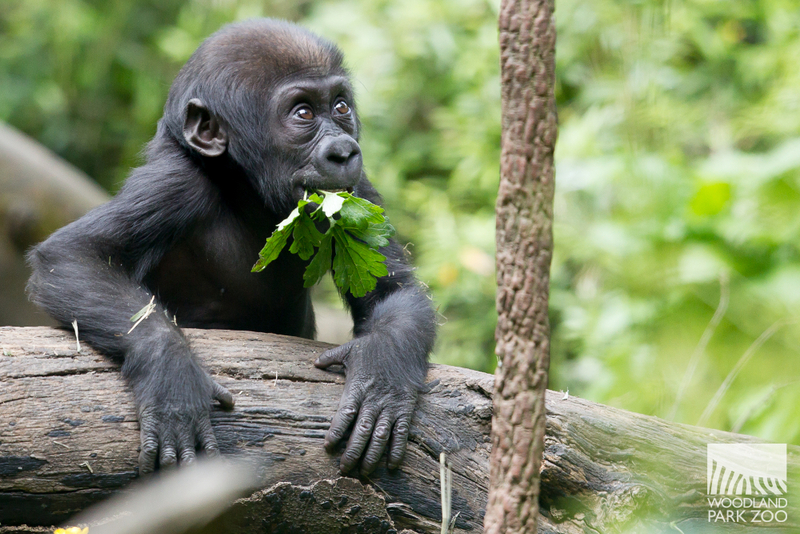 Bring your family to Woodland Park Zoo for Father's Day and enjoy half off admission for dad with the purchase of a child's admission when you mention this offer at any entry gate (offer not available online). Make sure to stop by Zoomazium for a special Father’s Day craft! Did you know that male seahorses are the ones who are pregnant with baby seahorses? It is true; a unique exception and great example how astonishing nature is! Come make your very own seahorse to take home with you. Before you leave Zoomazium pick up a Father’s Day tour and activity sheet that will lead you to some of the dads we have here at WPZ. 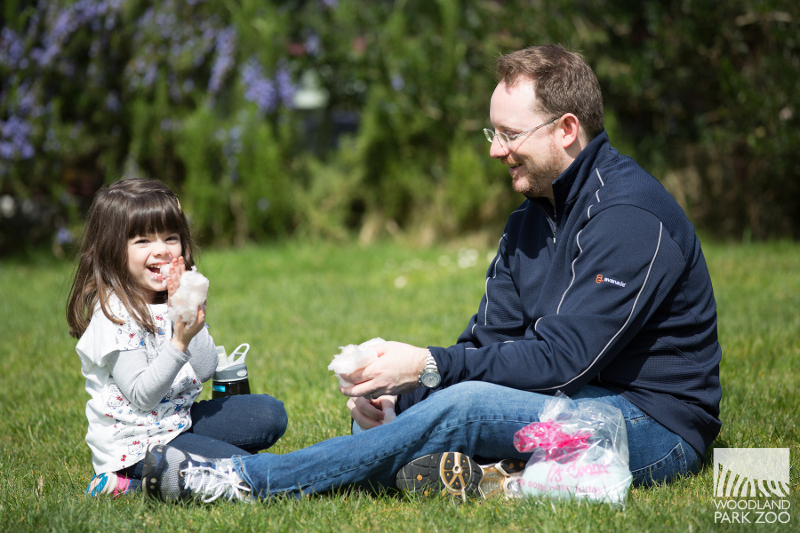 Learn the names of dad and their kids, read a fun fact about the responsibilities this animal dad has and complete a little activity. Come to Australasia at 1:30 for an emu talk; these large flightless birds will receive enrichment while we learn about the very unusual and important role emu dads play in raising their chicks. In many bird species fathers have a lot to do, building a nest then courting a female and that is before the eggs are even laid! 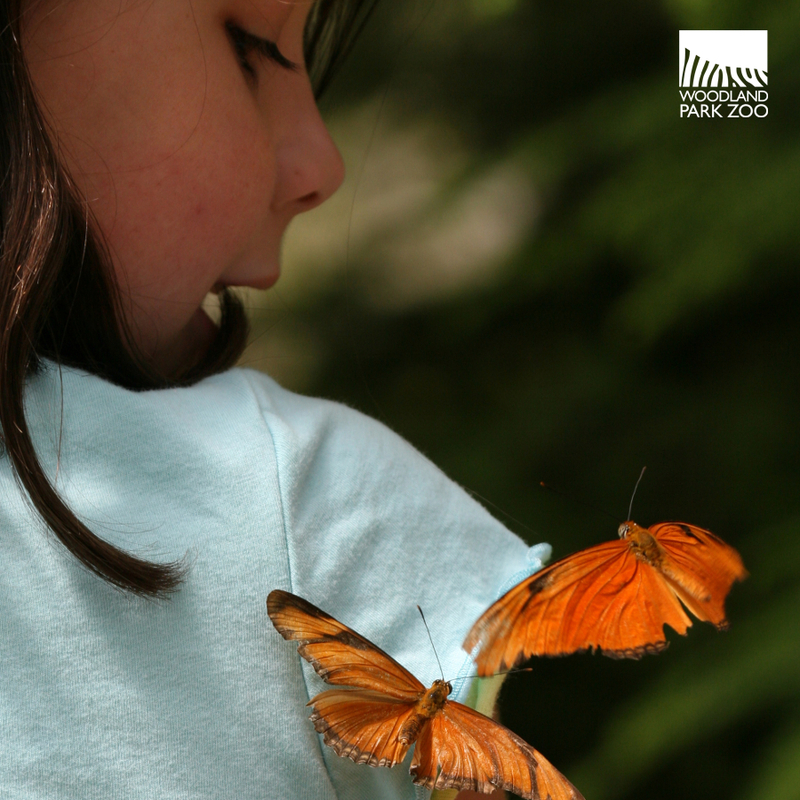 Many wild birds live within the zoo—listen for the cheeping of chicks and watch as the parents provide for them! 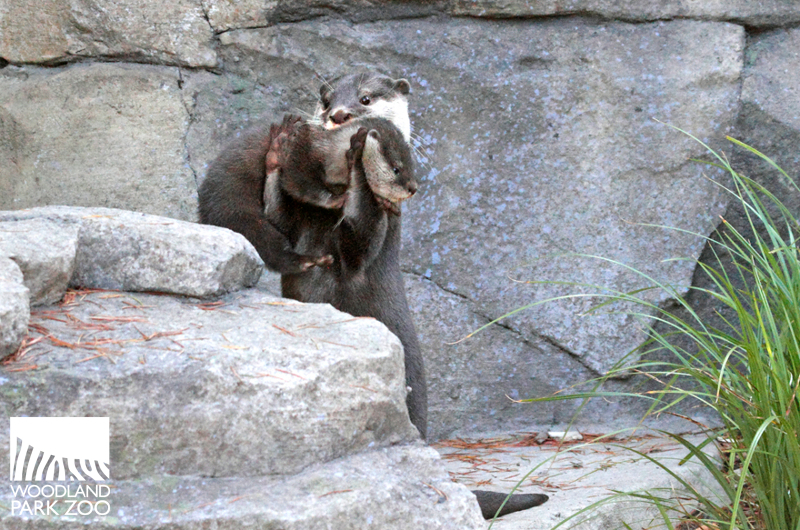 Otter pop Guntur looks out for his little ones. Photo: Dennis Dow/Woodland Park Zoo. Video: TT for the Bears. 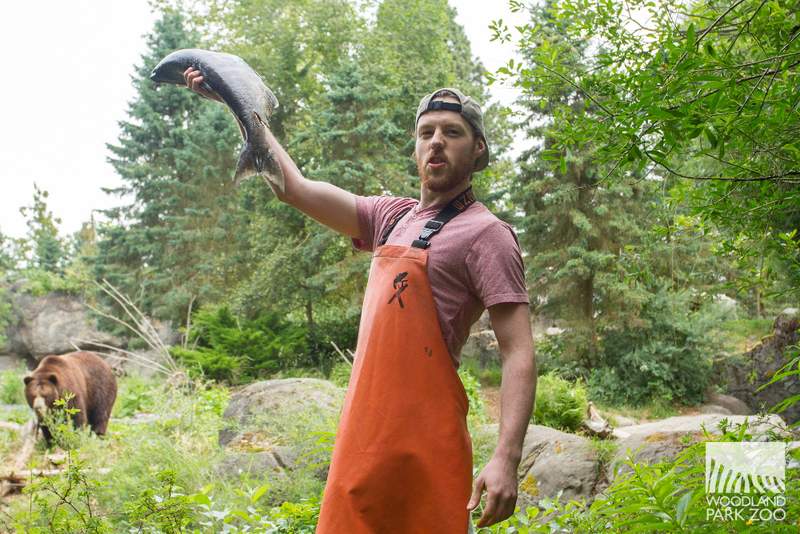 Things got very Seattle at Woodland Park Zoo when the world-famous fishmongers from Pike Place Fish Market helped us kick off Bear Awareness week and the big event, Bear Affair: Living Northwest Conservation Day presented Brown Bear Car Wash coming up Sat., Jun. 4. Grizzly brothers Keema and Denali could smell the salmon long before the fishmongers sent the fish flying over to them, shouting "TT for the bears" as in "test toss" in fishmonger-speak. 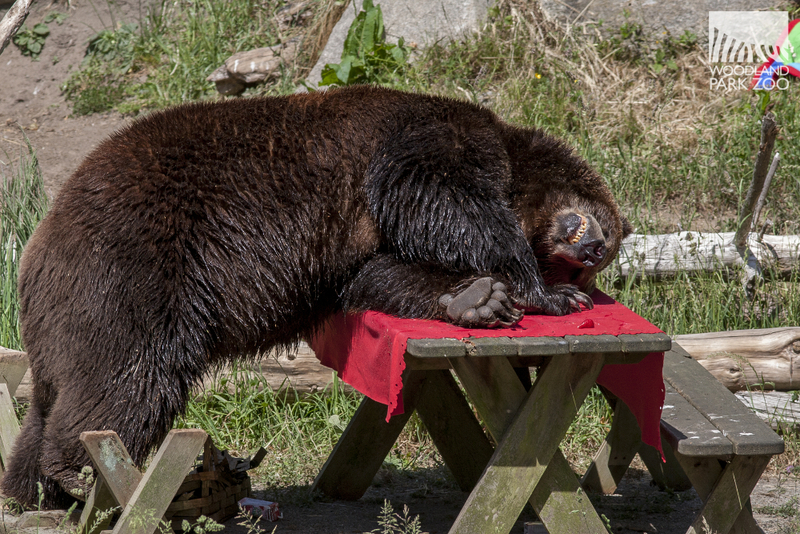 In true Keema and Denali style, the bears let gravity do the work for them and then dined contentedly. 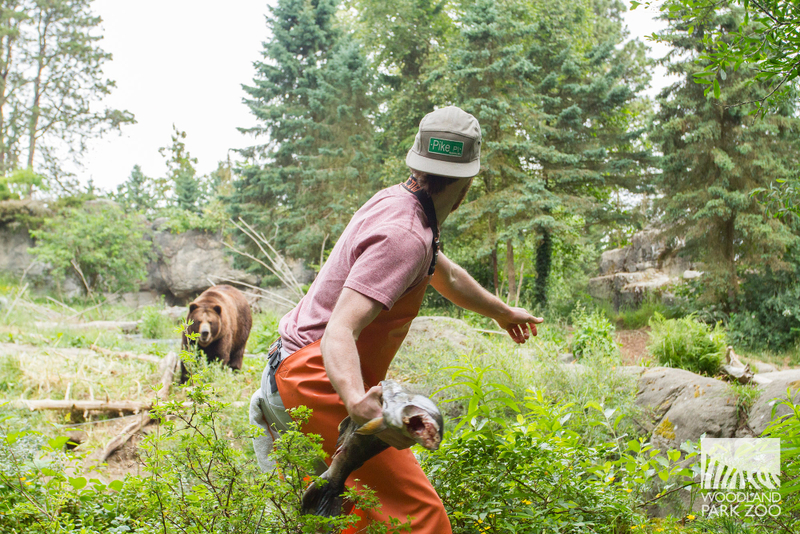 Don't let the beautiful exhibit design fool you—the fishmongers were a safe distance from the bears with layers of containment between them, all under the watchful eyes of our animal care crew. That's why it takes a professional to throw the fish that far! 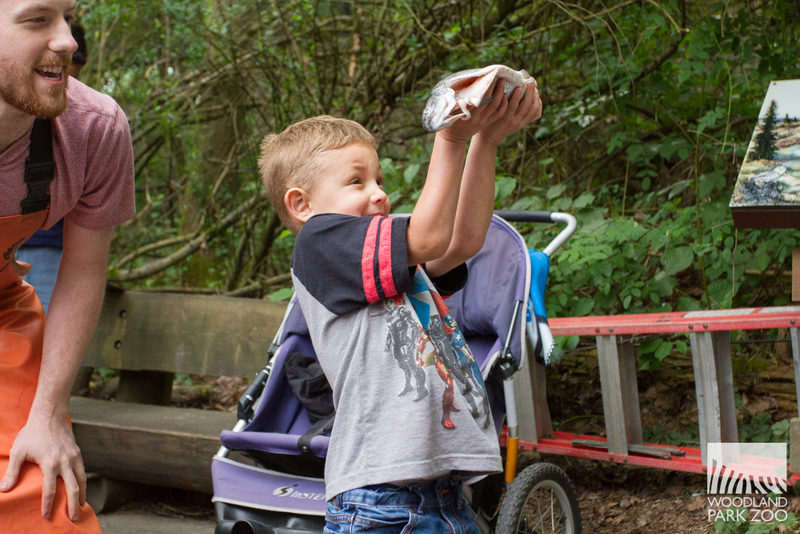 Some brave zoo guests stepped up to the challenge to catch their own TT and what can we say, Seattleites are naturals. 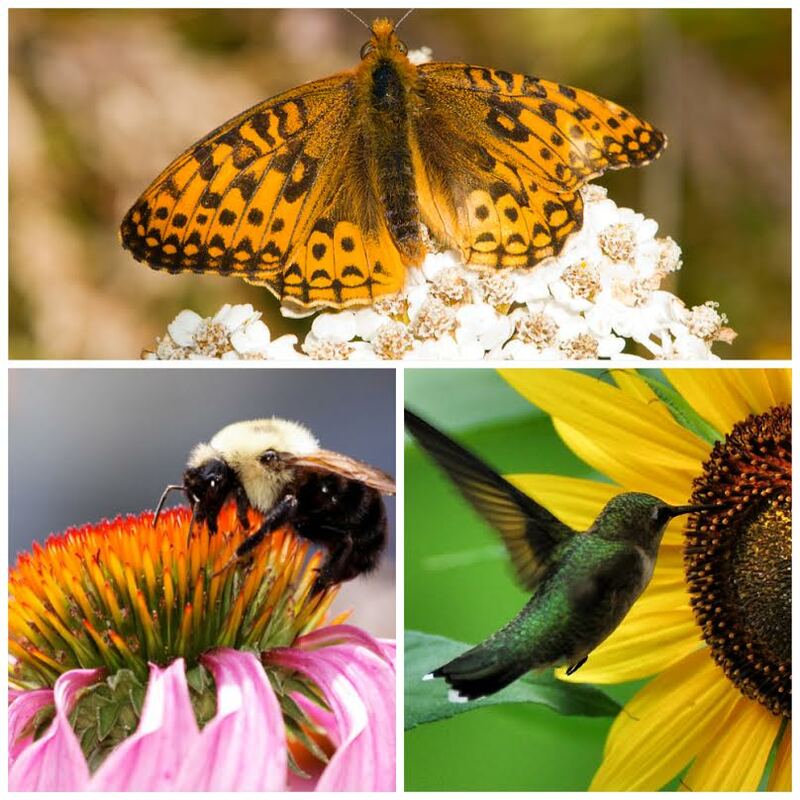 Seattleites are also outdoor lovers, like all Washingtonians, and that means encounters with wildlife are not unusual to us. 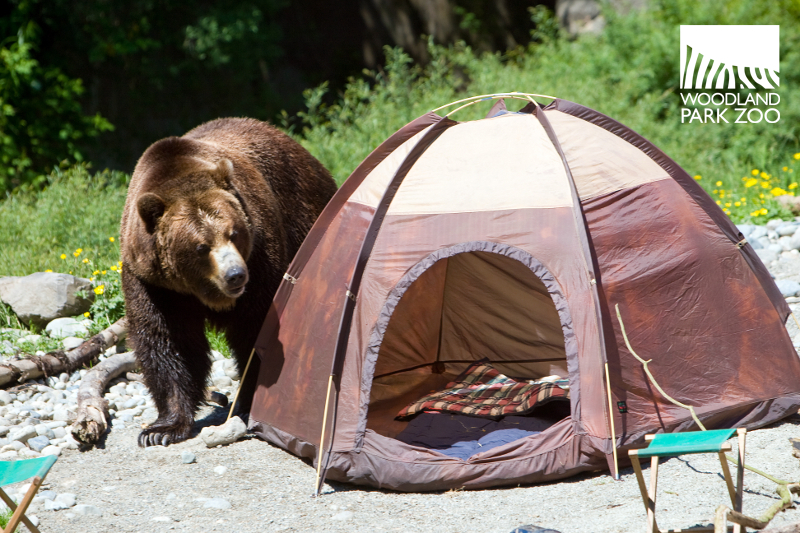 Bear Affair is all about picking up tips for safely coexisting with wildlife when hiking, camping or even backyard partying. At the upcoming event, Keema and Denali will ransack mock campsite and party set ups in their home to show you just what happens when you don't properly clean up or store your goods. 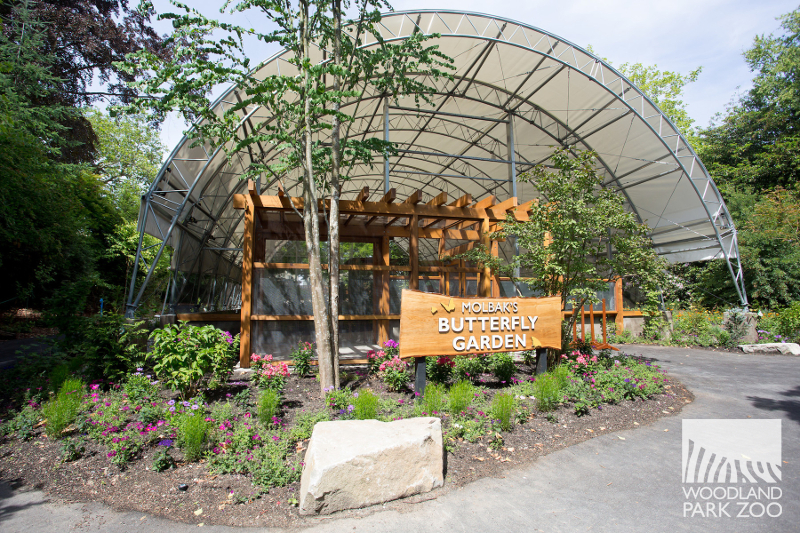 They'll also put bear-proof containers to the test, all while you learn more about native wildlife, from carnivores to pollinators, and how to protect and enjoy our beautiful Northwest. Bear Affair kicks off Bear Awareness week, dedicated to all things bears in the Northwest. Ready to do more? Several federal agencies are evaluating the environmental impacts of restoring a healthy grizzly bear population to Washington state's North Cascades. The best science shows that wherever grizzlies thrive, so does the surrounding ecosystem and native wildlife living in it. 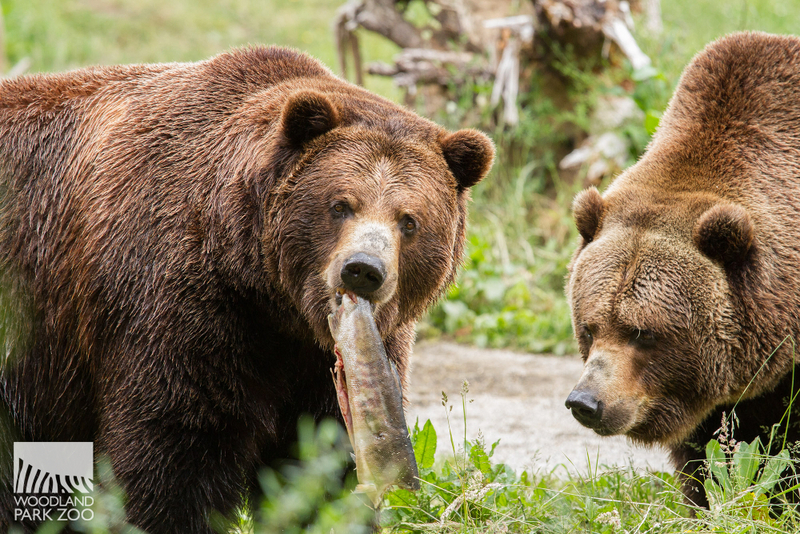 Woodland Park Zoo supports grizzly bear recovery to the North Cascades, and invites you to add your name to the growing list of supporters to start the groundswell for grizzlies.